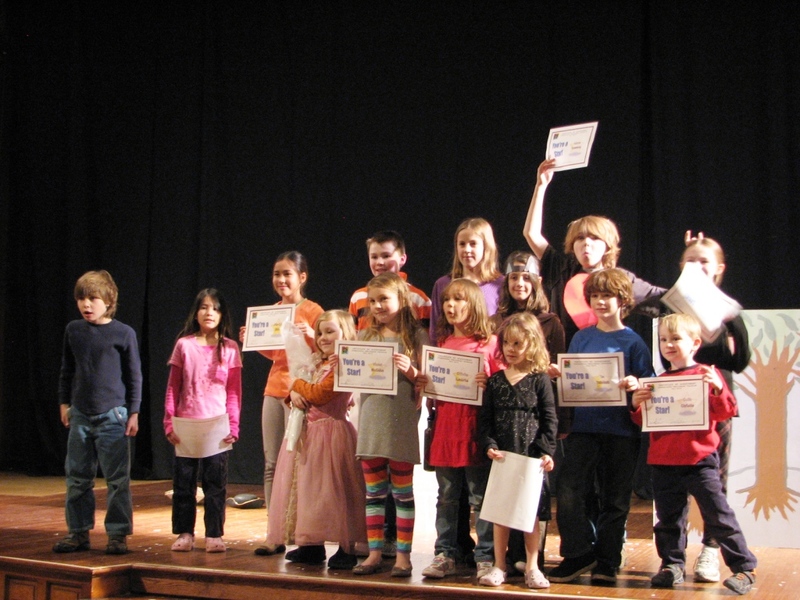 In the last weeks of the Fall 2010 Homeschool Enrichment Program, the children and staff rehearsed for their final performance. The older group performed Page to Stage: The Victorians. Their scenes from nineteenth century children’s literature included The Jungle Book, The Adventures of Tom Sawyer, and Alice’s Adventures in Wonderland. The younger children performed Travels Across America. Their scenes included The Yankee Peddler (from Connecticut), Johnny Appleseed (from Massachusetts through the Midwest), How the Buffalo Came to Be (from the Sioux Nation in the Central Plains), The Shark King (from Hawaii), and Lost in Old Jersey (an original play created by the children). NBYT will continue to offer Homeschool Enrichment Programs in the winter and spring of 2011. Age groups will be redistributed to even more age-appropriate lessons and activities. Groups will be: ages 4 to 6; ages 7 to 9; and ages 10 to 12. The youngest children will have fun with fairy tales and fables. Seven to nine-year-olds will stage folk tales and legends. And ten to twelve-year-olds will work with stage adaptations of children’s literature. All groups will include set and costume design activities plus visits from guest artists such as musicians and dancers. Each term will conclude with a presentation for invited guests. More details are included in NBYT’s brochure. A registration form is available to download.